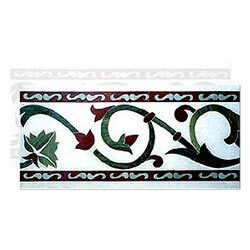 The marble flooring looks even better when marked with an inlay marble border. Choose from a wide variety of patterns, floral and geometric. Select the colors that go best with your color schemes. 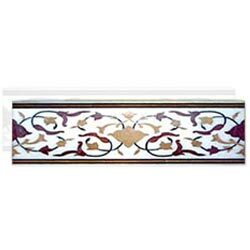 Let the tables of your house get a face-lift with this spellbindingly beautiful inlay border that has intricate floral patterns inlaid on it. 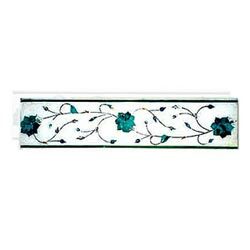 Define the border of your table with this gorgeous floral strip inlaid on White Marble! Let your table be a reflection of our aesthetic sense. 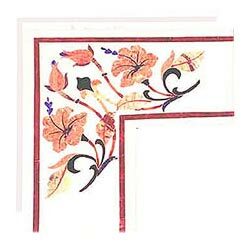 Here's a border that will surely augment the appeal of your table! 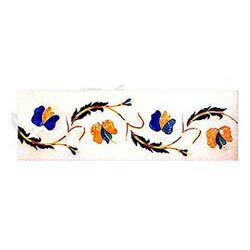 Remarkable floral designs in pleasing colors are the features of this table border. Enliven your living room with the table that has been embellished with exclusively designed table borders intricately inlaid on White Marble. Bring a whiff of creativity to your existing furnishings by fitting this exquisite table top border, artfully inlaid on Nova Crema Marble. 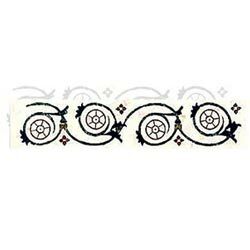 Accentuate the appeal of your home decor by outlining your marble table tops with this border pattern aesthetically inlaid on Nova Crema marble. Inlay design on Nova Crema Marble in attractive colors and patterns on the border strips, add a inimitable appearance to your center table!